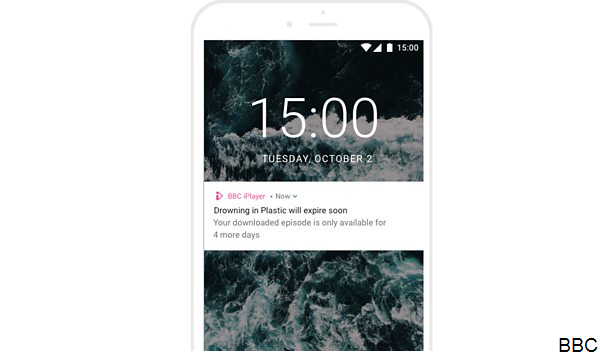 BBC iPlayer users will now receive notifications alerting them to downloads that are about to expire. The new function is available on the iPlayer app for smartphones and tablets for those who have opted to download a programme. When downloaded programmes are about to come off BBC iPlayer, app users will receive a notification on their mobile or tablet device letting them know that they only have a few days left to watch. The BBC says that downloads are very popular among BBC iPlayer app users, as they enable people to watch programmes on the move without eating into their data plans. They also enable viewers to download programmes before they go abroad and watch BBC iPlayer when they’re on holiday. “Downloads are a great way to watch on the move, when commuting, or while you’re abroad, but it can be very frustrating if you forget that a download is about to expire and only realise once it’s too late.